An interesting feature of this lamp is its handle. 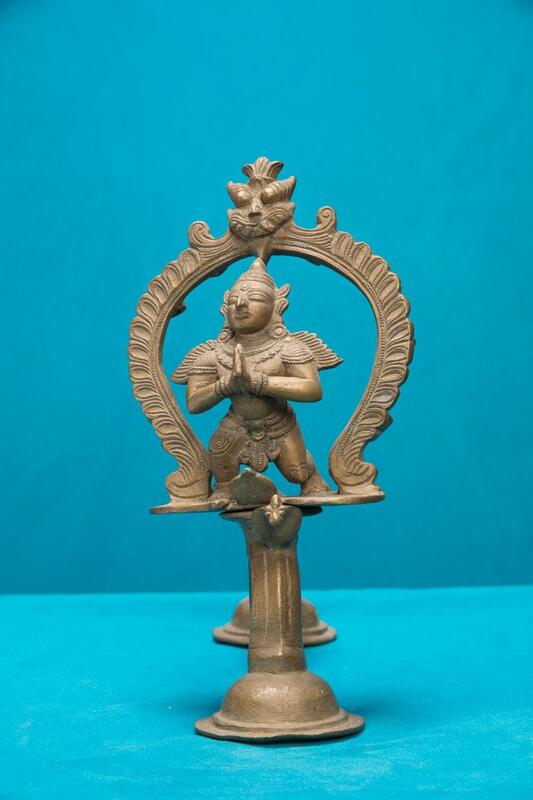 This Garuda lamp is an oil lamp with a handle to hold it by. Garuda is depicted in a semi- human form, with a sharp beak-like nose, and large out-stretched wings. Garuda, in the center of the lamp is in a kneeling posture. Hands held are in the anjali pose. Prabha can be seen around Garuda. This is a single- wick bronze lamp.